Police in Ayrshire would like to speak to a nurse who stopped to help at a fatal road traffic accident near Dalrymple last month. 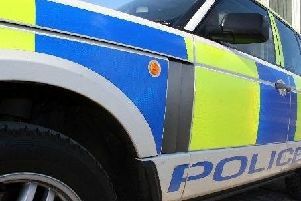 A 97 year old woman passenger died as a result of her injuries following the accident when a black Renault Clio and a grey Ford Fiesta were in collision at around 4.15pm on Sunday, June 17. The accident happened on the B742 Dalrymple to Coylton road outside Burnside Cottage, shortly after leaving Dalrymple. The woman who died was a passenger in the Fiesta. Sergeant Andy Johnston, of the Road Policing Unit, said: “We’re looking to speak to a nurse who attended the scene and spoke with the driver. “I appreciate the incident happened a few weeks ago but our enquiries have been ongoing and I’d appeal to this woman to contact us.